The probability of getting selected in an interview increases with recommendations in favor. Consumers are most likely to buy groceries or other items from a shop recommended to them by their friend or family. Likewise, a mobile consumer is most likely to download an app that has been recommended by genuine existing users. Out of every 10 smartphone owners in the US and the UK, 5+ discover about a new app that they need based on the word of mouth shared by their family, friends, or peers at workplaces. The customer acquisition through recommendations is higher than what happens directly via app stores. So being human, we socialize, and in the process, we do share our experience. Dynamic Links by Firebase have been provisioned to make most of this human nature. Here is how it can make your app and business go viral driving engagement with your target audience. If you are an app owner and want your app to reach to more and more users, this single feature can make a difference to the success of your app and the dependent endeavors. Staying up to your expectation, Firebase has made Dynamic Links available to both Android and iOS users. The phenomenal aspect is that, any user irrespective of the target recipient’s operating system, can recommend or share the app using Dynamic Links. How does it work? Well, users just need to click on the share button provided within the app interface and select their contacts from messages, phone, social network, etc whom they want to share with. A custom short URL of the app gets created in no time. The Dynamic Links is a browser-based function and can read whether the app is available on the recipient's device. If it’s available, the app gets launched. Otherwise, the user is redirected to his or her respective app store from where he or she can download the app. Marketers see Dynamic Links as a new opportunity to drive in-app purchases. Links to products or services can be shared directly with potential buyers. For sharing or distributing the links on a mass scale they may take benefit of different platforms including email and social channels. So all this while you have been catering to your customers on Web, but now want them to use your app. Firebase Dynamic Links will make your job easier. However, the skill lies in making the conversion outcome (from Web users to app users) impressive. How to do that? Well, dig the insights of your web to understand how users are engaging with your website and what section, product or service gets the most hit. Now make users land on to that part of your app using Dynamic Links. This will encourage them to download your app. 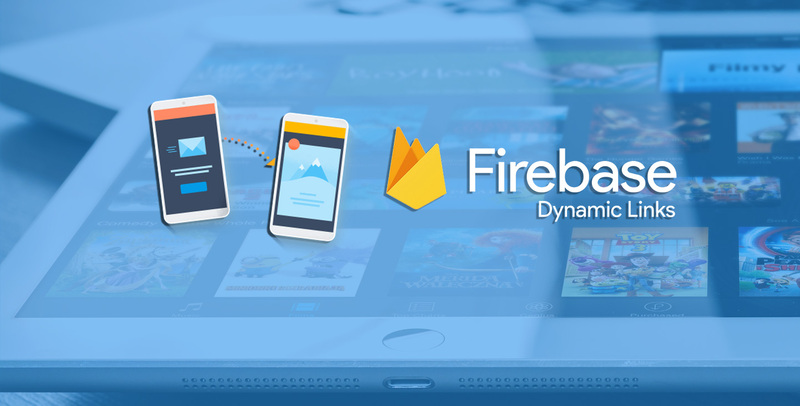 Dynamic Links is just a glimpse of what Firebase SDK can help you achieve. In the course of Android and iOS app development, it can help with crash reporting, authentication, cloud functions, performance monitoring, cloud messaging, to name a few, which we’ll discuss in a next post.